The Telephone Consumer Protection Act bans the use of “automated telephone equipment to send texts or calls to a person’s cellphone without their permission except for emergency purposes,” according to The Star-Telegram. This is not the first time O’Rourke’s campaign has faced backlash for claims of inappropriate use of text messages. The campaign came under fire in September for allegedly sending a text message to voters asking for “volunteers to help transport undocumented immigrants” to the polls, according to The New York Times. The campaign, however, denied authorizing permission for the message to be released and said it was an “imposter” who was a “first-time volunteer who had signed up for a shift on the campaign’s ‘texting team’ under a fake name,” TheNYT wrote. “That was not an approved message by the campaign,” campaign spokesman Chris Evans told TheNYT. Republican Sen. Ted Cruz, O’Rourke’s challenger, has even acknowledged the texts. The topic arose at one of Cruz’s campaign rallies in September. Despite O’Rourke raising around three times as much as the Texas senator in the third quarter of 2018, polling shows Cruz is leading the race. 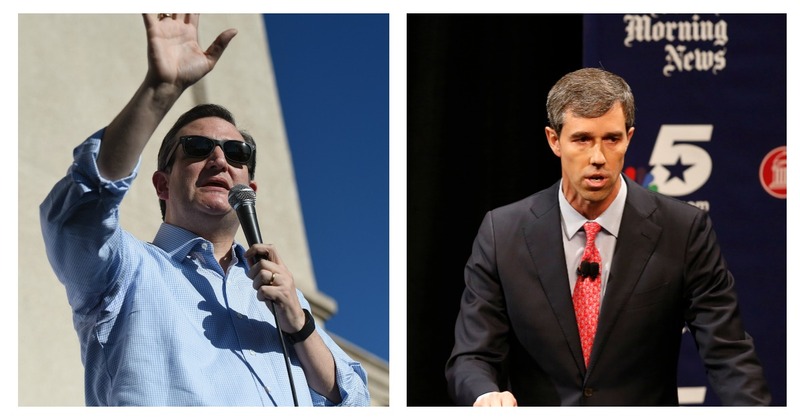 At 52 percent, Cruz is ahead of O’Rourke by 7 points, according to a poll of likely voters released on Tuesday. This marks the fourth poll in a row where Cruz has received more than half of the total vote. Evans said the O’Rourke campaign’s “grassroots volunteer program with thousands of Texans canvassing, phone banking, [and] texting” is “fully compliant with the law,” according to The Star-Telegram. The O’Rourke campaign did not respond to The Daily Caller News Foundation’s request for comment in time for publication.